SleepPro mandibular advancement device can only yield the desired effects in tongue-based and mouth snorers. It is not suitable for nasal snorers and it may not be the right fit for individuals who wear dentures, which is why consultation with a dentist is advised. It should not be used as an alternative to CPAP therapy. If used in treating obstructive sleep apnea, consultation with a medical professional is strongly advised. Potential side effects include jaw fatigue, sore gums, and excessive salivation. Low-quality REM sleep or sleep deprivation can cause any number of serious health issues, including memory loss or lapses, depression, headaches, false memory, diabetes, obesity, seizures, mania, and many others. To help you stop snoring and finally get a good night’s sleep, we introduce SleepPro, a company dedicated to eradicating all causes of snoring and improving sleep quality. 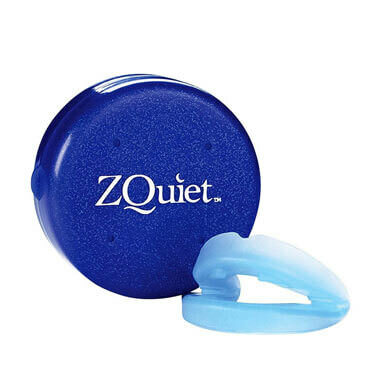 Their anti-snoring products have been approved by numerous doctors, hospitals, clinics, and dentists worldwide. Read our in-depth SleepPro review to discover an affordable and effective solution for your snoring/sleeping problems and finally allow yourself and your partner a rejuvenating night’s rest. SleepPro is a company offering numerous anti-snoring aids, alongside appropriate tools for keeping your mouthpiece clean at all times. They have helped thousands of people with their products and also bring about many benefits for their potential future users. Their signature SleepPro stop snoring mouthpiece, which comes in many iterations, is a mandibular advancement splint that helps you stop snoring and regain the quality of your sleep. It works by advancing your lower jaw, which introduces a slight tension in the tissue of your upper airway. This will keep it open at all times, helping you breathe more easily and comfortably while you sleep. Variety – Right off the bat, SleepPro offer 10 different iterations of their anti-snoring mouthpiece, which is something we don’t see often when it comes to snoring aids. Usually, companies have one or two products in their portfolio and that’s it. SleepPro stands out due to the sheer volume of products they offer to their users. Clinically tested – All the products sold by SleepPro are clinically proven by numerous institutions and doctors all around the world. This provides you with additional peace of mind since you know there are no hidden dangers for your health lurking from their mouthpieces. Long tradition – Companies that deal in snoring aids usually haven’t been on the market for too long. SleepPro, on the other hand, was founded in 1998, which means they have been delivering high-quality anti-snoring products for almost a decade. A longer presence on the market is usually the best indicator of high-quality products and good service. Partnership with MEDiTAS – Not much to say here except the fact that MEDiTAS is one of the leading manufacturers of mandibular advancement devices in Britain. They have been working with SleepPro since the company was founded. 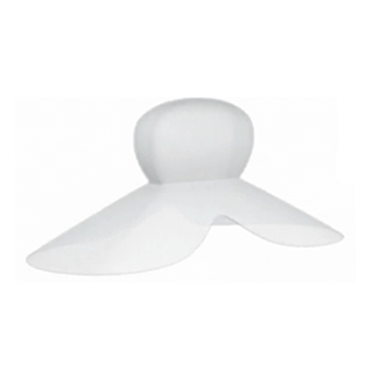 Ease of use – SleepPro devices are very easy to handle, unlike some other rivaling products. 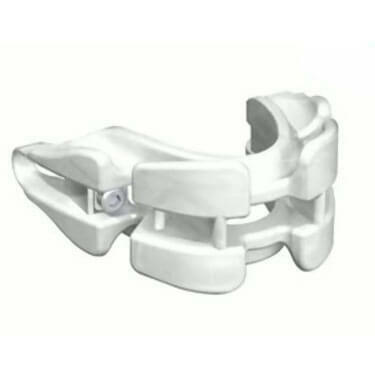 Cost-effective – One of the biggest advantages of SleepPro mandibular advancement devices is their cost-to-value ratio. Compared to dentally-fitted devices, SleepPro is a bargain, offering the same amount of comfort, utility, and snoring prevention. Safety – As we already mentioned in our SleepPro review, these snoring aids are all clinically tested and approved. This makes them absolutely safe to use since they’re comprised of medical-grade thermoplastic and free of BPA or latex. 30-day money back guarantee – SleepPro is a company that believes in their products, so they have no problem offering a full 30-day money back guarantee. Basically, this eliminates any potential risk for you as a customer since you can simply return the device if you’re not satisfied with it. Needless to say, not many companies adopt this practice. They have numerous mouthpieces in their portfolio, which all require different fitting procedures. Here’s our comprehensive outline of achieving the perfect fit for you new SleepPro MAD. SleepPro, Easifit, Sleep Tight, Woman, Contour, and Splintdirect use the boil and bite technology. First, you should boil some water and pour it into a mug. Leave it for 1 minute to cool down since it’ll render your mouthpiece unwearable if it’s too hot. You shouldn’t boil water in a microwave. Immerse your mouthpiece completely and leave it in the hot water for 2 minutes. Shake off the excess water after taking it out and push any floppy bit back into place. Also, you should position the notch at the top before biting into the mouthpiece. Position the device on your lower teeth and close your mouth. Bite hard and start moving your lower jaw forward. Do this for about 10 seconds. Start watching yourself in the mirror and bite firmly for 20 seconds. You should see the breathing holes insert moving up like a drawbridge while you move your jaw. If you don’t see any elevation while moving your jaw forward, the mouthpiece will have no effect on you. Also, if your lower and upper teeth are touching, you shouldn’t use the mouthpiece. After the “biting” step, start using your index finger like a toothbrush to mold the device against your teeth. Simultaneously, start pushing your tongue against the inner part of the mouthpiece. After 30 seconds, remove the device from your mouth and put it in cold water. Test the device out after it cools down to check if it fits. This concludes the boil and bite process. You should repeat the procedure at least once to acquire a better fit. You can also remove the white plastic part before using the device but don’t throw it away since you’ll need it if you ever decide to remold your MAD. SleepPro Custom, Custom AM, and Night Guard require a different molding approach. 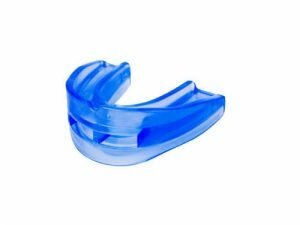 When you order one of these mouthpieces, SleepPro will send you a dental impression kit used by professional dentists for the custom versions and molding putty for Night Guard. In both cases, the kit comes with a comprehensive instruction, so you shouldn’t have any problems making your teeth impression at home. You should then send your impression back in the provided packet and one of the SleepPro professionals will create your personal anti-snoring mouthpiece. If you are still unsure if SleepPro is right for you, check out the key advantages and flaws of this snoring aid. As seen in our SleepPro review, this is a renowned, well-established company partnered with one of the best British manufacturers of mandibular advancement devices. They also offer a lot of variations of their main product, allowing you to achieve the perfect fit. Their MADs feature all the shortcomings every similar device in the world has, which can’t exactly be viewed as a negative point. Our SleepPro review painted a picture of a comfortable, safe, tested, customizable, and effective snoring aid, so we can only recommend the company as one of the best currently on the market. Our ratings are the result of an objective and independent evaluation of SleepPro, generating the final rating that reflects the overall quality of the company. Ratings may change as the product introduces changes. SleepPro user rating based on 4 user reviews. I ordered Sleeppro Custom and not only have I stopped snoring almost immediately (the mrs. says thank you btw) but I also saved a ton of money based on what my dentist wanted to charge me. The mouthpiece fits perfectly and it didn't cause any pain or soreness and never falls out during the night. My husband says it's very comfortable and doesn't bother him while he sleeps. On the other hand I got some quality sleep first time in years. I accidentally dipped the piece into the hot water and it became practically unusable. It feels like the piece is taking up a lot less space in my mouth than my previous mad. We found 0 verified SleepPro discounts for April, 2019. With our collection of SleepPro guides, you can have expert assistance every step of the way. 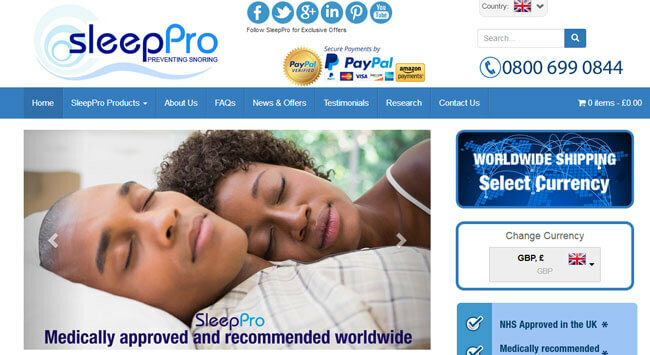 We bring you all the key information you need to know before and after you purchase SleepPro, covering everything from SleepPro effectiveness, proper use and maintenance, and suitability for different types of snorers to cost and refund policy. Our collection of SleepPro guides is constantly expanded, so be sure to check back for more useful tips and instructions. SleepPro Easifit - offering a deeper analysis of this popular mandibular advancement device. In order to be sure that SleepPro truly is the best solution for your snoring troubles, you need to know what makes it superior or inferior to its alternatives. Discover how SleepPro compares to other popular snoring aids of its kind with our detailed feature and price comparisons and easily determine whether you are making the right choice.